Have you ever noticed those pretty images on the screen of the ATM you are using? Whether you work for the bank or are a customer, I think we can all agree that is better than looking at those not so pretty yellow numbers with the blue screen. Many have questions about what graphics can do for their branch and what impact it can have on their customers. 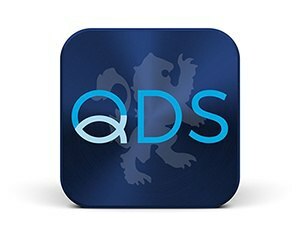 As a Graphic Designer for QDS, I can assure you we make them look incredible, relevant, and reflect the community feel of the client. 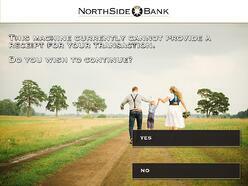 Northside Bank's customers would also agree. We recently had the pleasure of partnering with Northside Bank located in Adairsville, GA. We worked closely with the branch and our technician to make sure we had all of the necessary requirements in order to install their graphics. 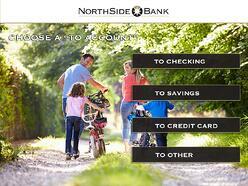 In this article, we will talk about the experience Northside had with QDS and the creative process in creating their new ATM experience. With designing the ATM graphics, it is very important to make sure you reflect the community the institution represents. For instance, you wouldn't put city landscapes in an institution serving farming towns. We personally set up a call with Chris Hendrix, the Head Teller for Northside Bank and had him describe the community to get a feel for who their clientele is. We then think from a customer's perspective and design detailed images that reflect who they are. 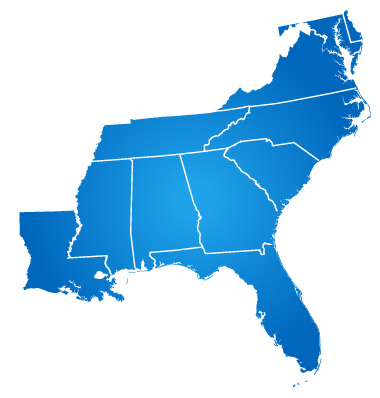 Northside is located in a rural community in Georgia and works with mostly family clientele both young and old. As you can see from the images below, each screen is unique. Once the client has agreed to the template of screen flow with their custom images, we then proceed to the technician process of retrieving the original blue screens off the ATM. Depending on the ATM processor, the typical load can contain anywhere from 150 to 300 screens. The technician takes this load file and sends it to our marketing team, which allows them to see the screens flow as they normally would through transactions. The marketing department creates the overlays in sequence based on the load file and a master overlay file is created. The technician then configures and installs the overlay file to the ATM. During installation, some changes may be required. This is where the technician and Marketing Associate work hand in hand to make sure everything runs smoothly. We want to ensure that all buttons are in the right place and all boxes on the screen correspond to where the user is entering data. Teamwork is essential in creating and installing the graphics. The entire process typically takes 30-60 days after ATM installation, or after the log files have been pulled from the ATM if the ATM is an existing install. 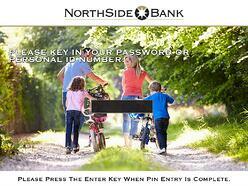 It was a pleasure working with Chris Hendrix and the entire team at Northside Bank. Could graphics make an impact to your ATM channel? Send us a note to find out more.